Forty two years ago, two PE teachers came up with the idea that we should let the kids run. Not make them run or tell them they have to run. Just let them run. These wise men thought to keep the cost down and let them run through the leaves, run by the lake, run for fun, run to compete, run for the first time, or just run to run. We invite you to continue the tradition started by two of our visionary teachers. 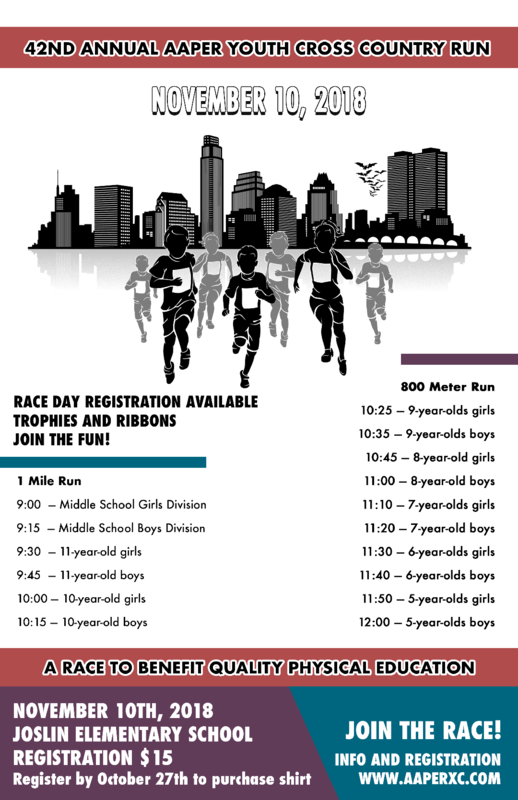 There will be RACE DAY REGISTRATION! Not registered yet? 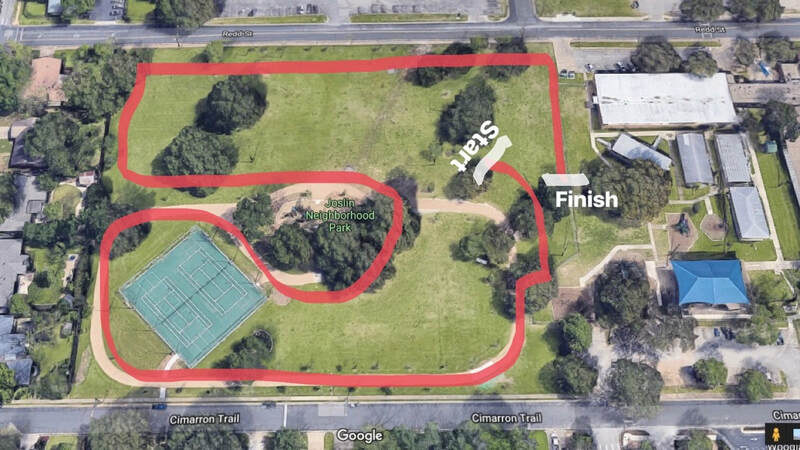 Just come day of 30 minutes before your child's race time. 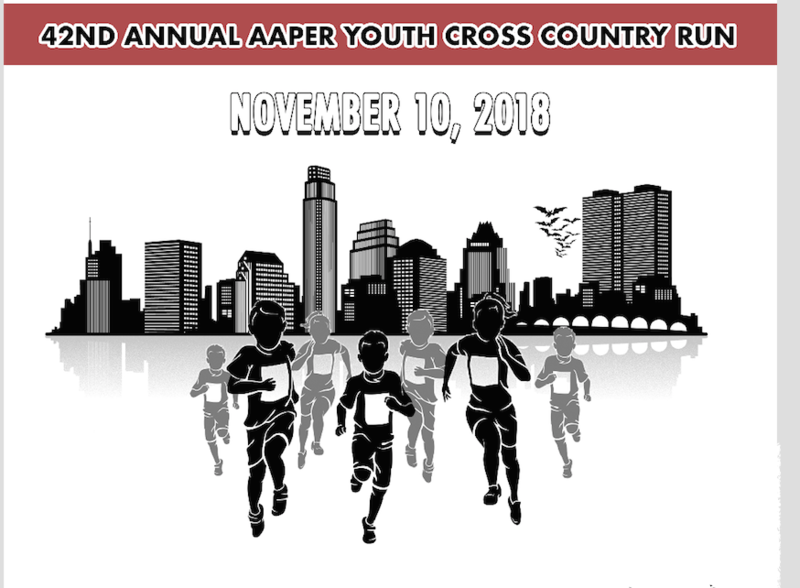 *Register by October 27th, 2018 to order race t-shirt. Trophies will be awarded to the top 5 finishers in each category. Ribbons will be awarded to all finishers. This is a 0.5 mile loop. 9 and under will do this loop once. ​10 and up will do this loop twice. Click the link below to visit our Eventbrite. 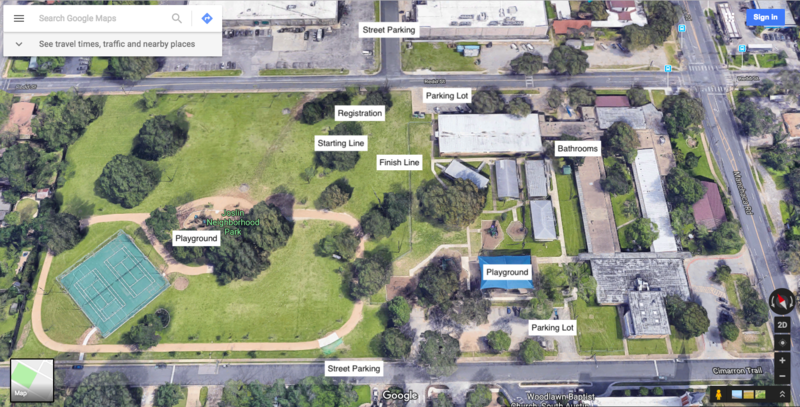 The purpose of the Austin Association of Physical Education & Recreation is to promote quality physical education in Austin, Texas, and to foster professional growth and mutual support to the professional members. AAPER exists to assist in providing an educational foundation that allows each child to understand the mechanics of physical fitness and provide the motivation to remain a life long participant in fitness related activities .